March is Women’s History Month, so we continue highlighting some reference items related to women and women’s studies on the blog this month. This week we are looking at the Encyclopedia of Feminist Literature. This is an A to Z guide to feminist literature. Entries cover important feminist writers such as Aphra Behn, Jane Austen, Anaïs Nin, Sandra Cisnerors, and more much more. It also covers influential works, literary theories, motifs, issues, philosophical and literary developments, sources, women’s history, literary history, genres, themes, characters, and literary conventions. 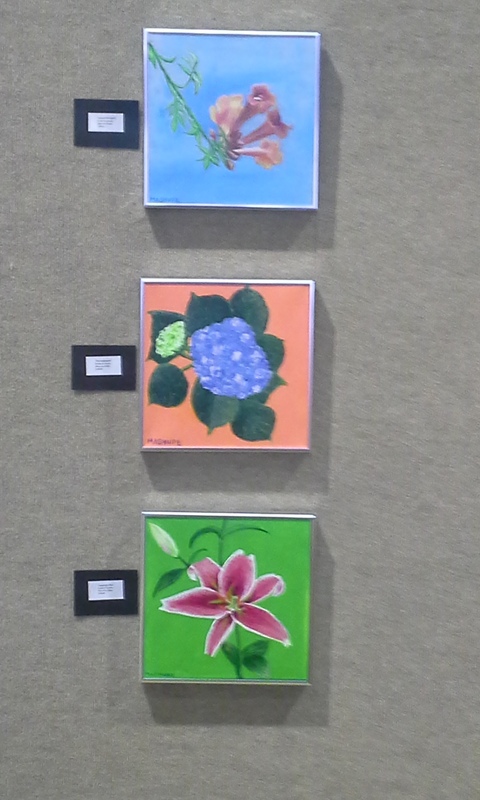 The work is arranged in more than 500 entries in alphabetical order. It draws on the expertise of a diverse group of scholars. 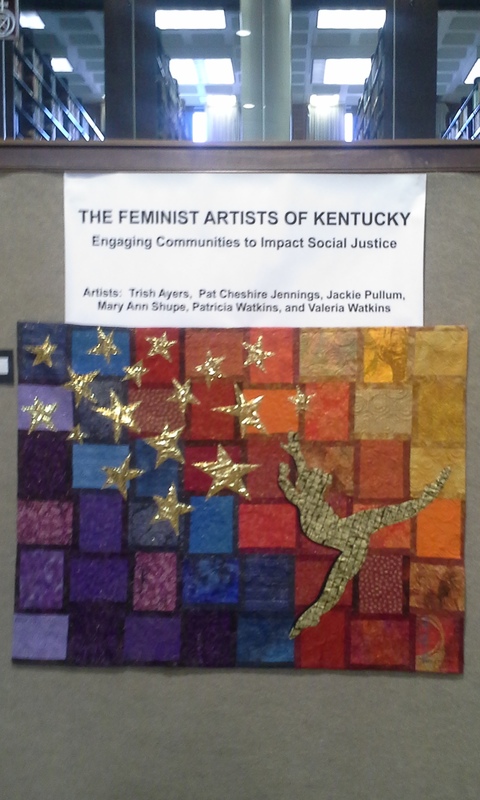 In addition, topics are drawn from “a close examination of the syllabi of women’s studies, literature, and social issues classes, as well as the contents of current textbooks, supplemental reading lists, and notable projects and seminars that have drawn together teachers, students, writers, activists, and authorities on feminist concerns” (vii). An introductory essay for the volume that provides an overview of feminist literature and writers. A list of authors by genre. For example, get a list of feminist writers who write drama. A list of major feminist authors and their works. A timeline of major works in feminist literature. A primary sources bibliography listing print works and electronic texts. A secondary sources bibliography for works about the writers and feminist literature. A small list of relevant films. An index, where boldfaced terms indicate main entries. For students in literary studies, classes with literature elements, and WGS (women and gender studies), this can be a volume of interest. Whether you need to find a specific term or idea, such as “letter writing,” look up an author like Amy Tan, or get a quick overview of a work, say Life in the Iron Mills, this is the book for you. If you are starting to do research on feminist literature, fiction or nonfiction, this is book is an excellent starting point. You can find it in the library’s Second Floor Reference Collection under the call number R 809.892 S673e 2006. 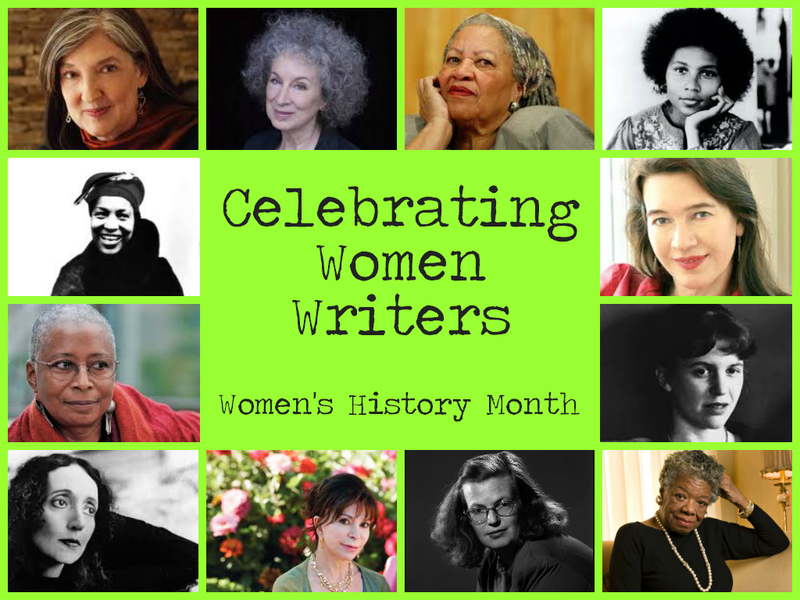 March is Women’s History Month, so I am highlighting some reference items related to women and women’s studies on the blog. This week I am featuring Women in Developing Countries: A Reference Handbook (link to library catalog). This is part of ABC-CLIO’s Contemporary World Issues series. The books in this series are designed, according to the publisher, to provide accurate, unbiased information on major topics. Books in this series are designed to be good research starting points for students, scholars, general readers, activists, legislators, and others. “The purpose of the book is to provide a survey of the literature and other resources on the topic of women in developing countries and to provide sources for further research” (xv). Preface gives readers a brief description of the book’s scope and content. The book includes a lists of developing countries; this helps define the book’s scope. Chapter 1 provides background and historical information. Basic concepts are defined and discussed. We get a look at women’s status and experiences around the world, in a broad way, covering topics such as education, health care, and employment. Chapter 2 goes over important specific issues and controversies. Chapter 3 focuses on issues of concern in the United States. Chapter 4 provides a chronology of key events in recent history of women in developing countries. Chapter 5 offers a set of biographical sketches. These are short biographies of women who have played major roles in areas related to the subject ranging from politics to social activism and from local and international figures. Chapter 6 is the statistics and data chapter. It also includes some texts and summaries of relevant U.N. conventions. Chapter 7 is a listing of organizations, mostly NGO’s, government agencies, and government-affiliated organizations. Note that Chapters 1-6 do include a list of references, which researchers can find useful for further reading. Chapter 8 is an annotated bibliography of books and other materials related to women in developing countries. There is also a glossary of terms, and the book includes an alphabetical index. Students doing research on women’s issues, in the U.S. and abroad, with an interest in developing countries will find the book useful. The book provides an overview of topics, and it helps the reader find ways to expand research. In addition, as other reference books do, this book provides vocabulary, which can be used then in article database searching. Finally, students can use the bibliography to find additional sources of information. This is overall a nice volume that packs a lot of value and information for the researcher needing a starting point on this topic. The book is located in the 2nd Floor Reference Collection of the library under call number 305.409 K557w 2011. 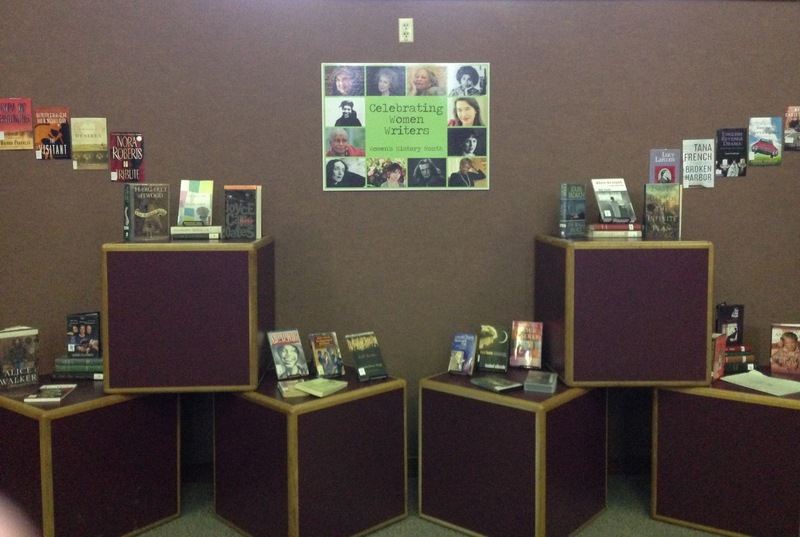 In recognition of Women’s History Month, a new display has been erected which celebrates a variety of women writers, ranging from the likes of Bell Hooks to Margaret Atwood to Nora Roberts. The titles chosen cross many genres, from popular fiction to biography to cultural criticism and even include film adaptations. In honor of the cultural and artistic contributions that women writers have made to humanity, the display will remain up for the entire month of March. March is Women’s History Month, so we are featuring a reference book about women in our semi-regular feature Reference Book of the Week. Women in Combat: A Reference Handbook is part of the Contemporary World Issues series published by ABC-CLIO. This series covers topics such as animal rights, lobbying in the U.S., environmental justice, and women in combat, which is our highlight this month. This series provides a good starting point for research in the topics the series covers. You can start your research with a book like Women in Combat and then move on to more in-depth tools such as article databases. Background information and history of women in war and combat. Problems, controversies, and solutions related to women in combat roles. Issues such as women’s physical abilities, effect on readiness, and societal expectations are discussed here. A selection of primary documents and statistics. A chapter on print and nonprint sources featuring books, journals, hearings, and Internet sites, and more. This is an easy to use and read reference book. It is well organized, and it features a good index to help you find any specific terms or information of interest. The role of women in combat is a topic that comes and goes in the news cycle as women continue to fight for equality in and out of the battlefield. This book is a good resource to get a better understanding of this topic, plus it provides good guidance for further research and exploration. You can find the book in the library’s reference collection. The call number is R 355.408 S626w 2011.